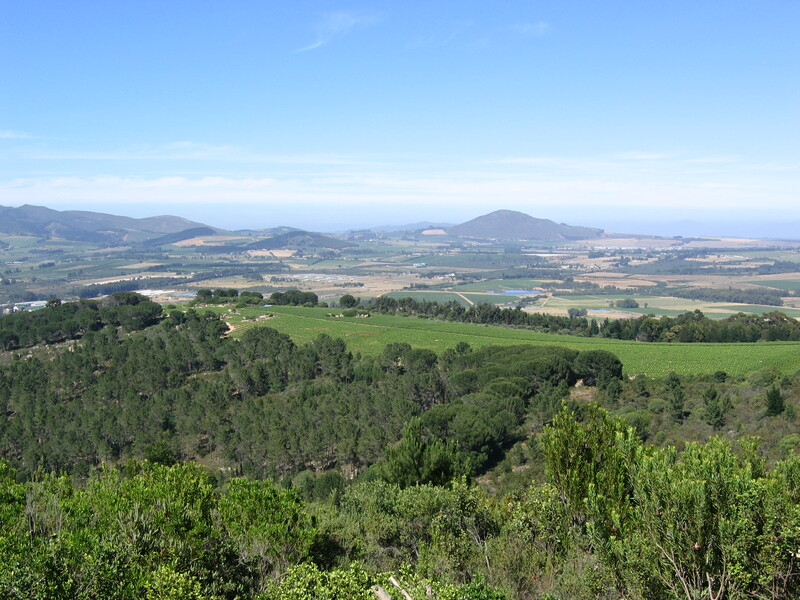 With an ideal, temperate, Mediterranean climate full of sunshine, adequate rain and fertile, unspoiled land, the Southern tip of South Africa has a long 300-year-old tradition and history of creating fabulous wines. 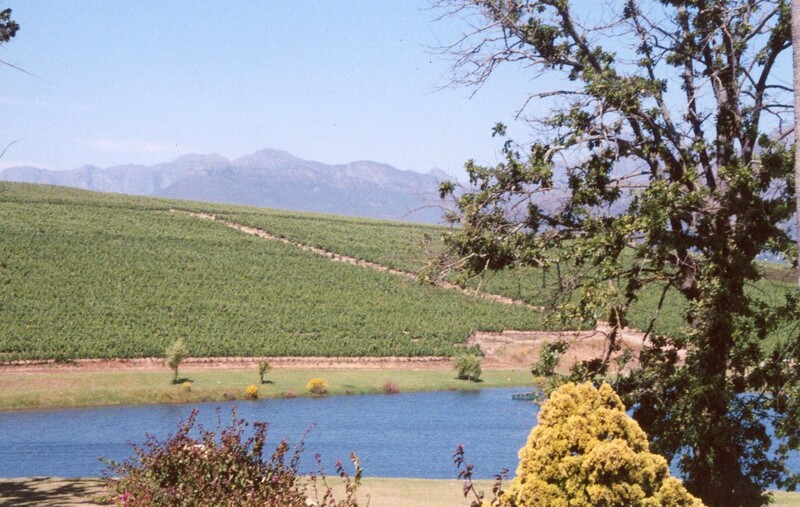 Just like the immense diversity of South Africa’s people, the Rainbow Nation also produces some of the most exciting, diverse wines in the world. 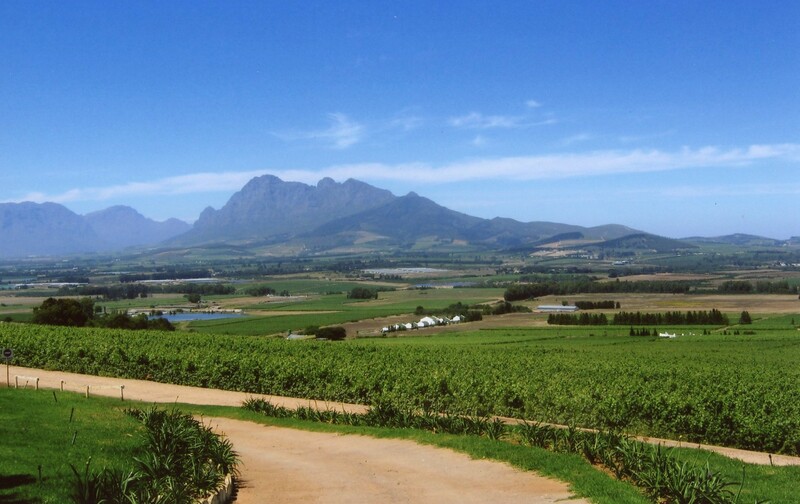 The Southern Cape in particular is one of the great wine capitals of the world, home to over 800 wineries not a far drive away from Cape Town. 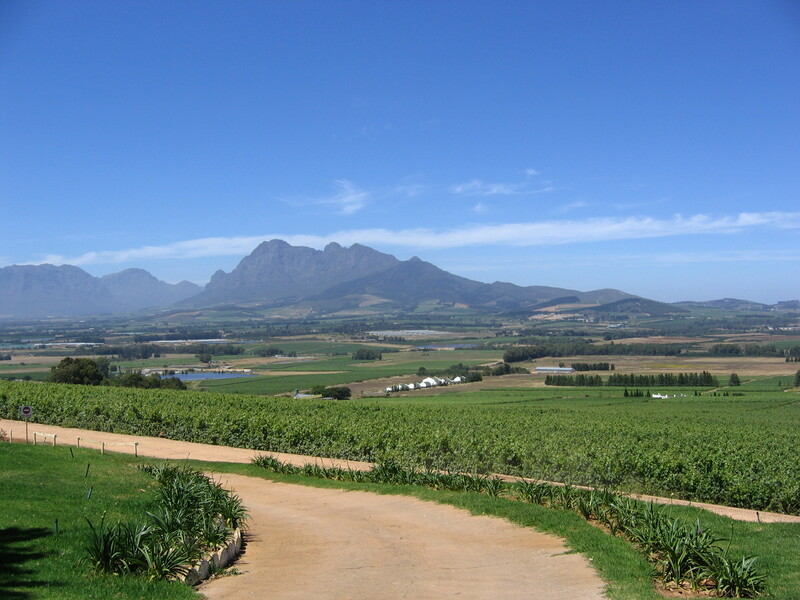 There are 13 designated wine routes comprising the Winelands area of South Africa (the most popular include Stellenbosch, Paarl, Franschhoek, and Somerset West). A true wine lover could spend weeks exloring the many beautiful estates and vine-covered rolling hills. Unfortunately, I only had one afternoon. 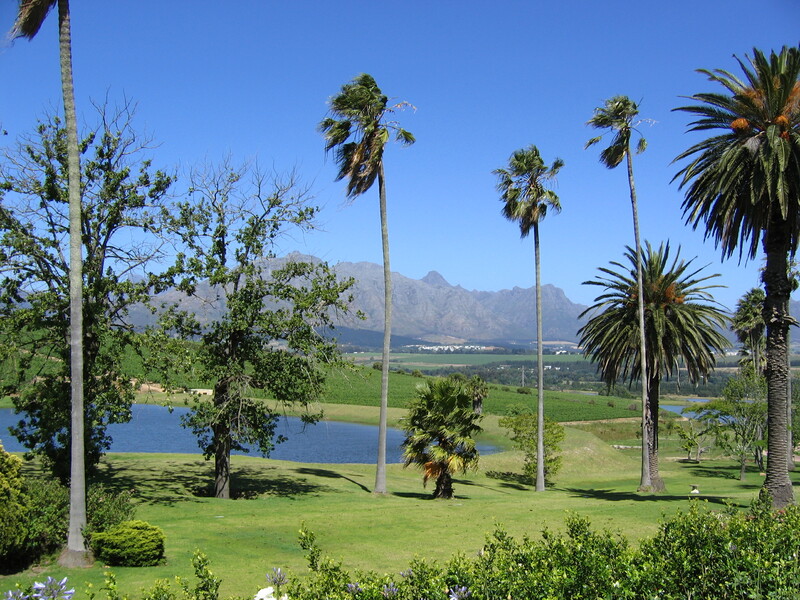 But a few hours in South Africa’s wineland convinced me that the wines are delicious, the scenary is magnificent and I would love to come back! 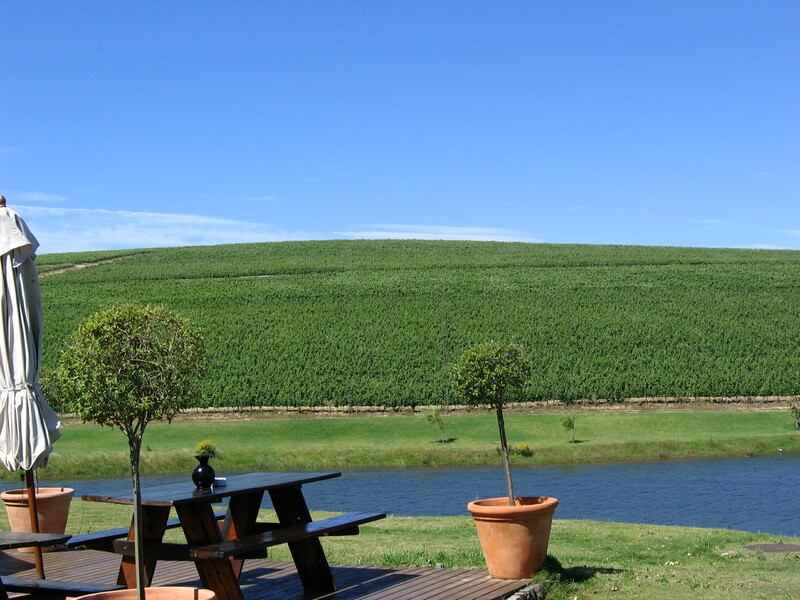 Drive from Cape Town to nearby Wine Country. 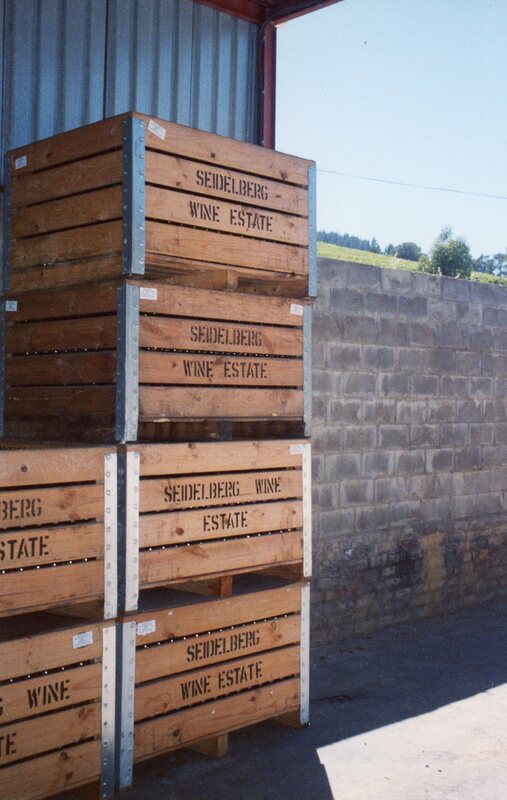 Stellenbosch is only a mere 46k/29 miles away! 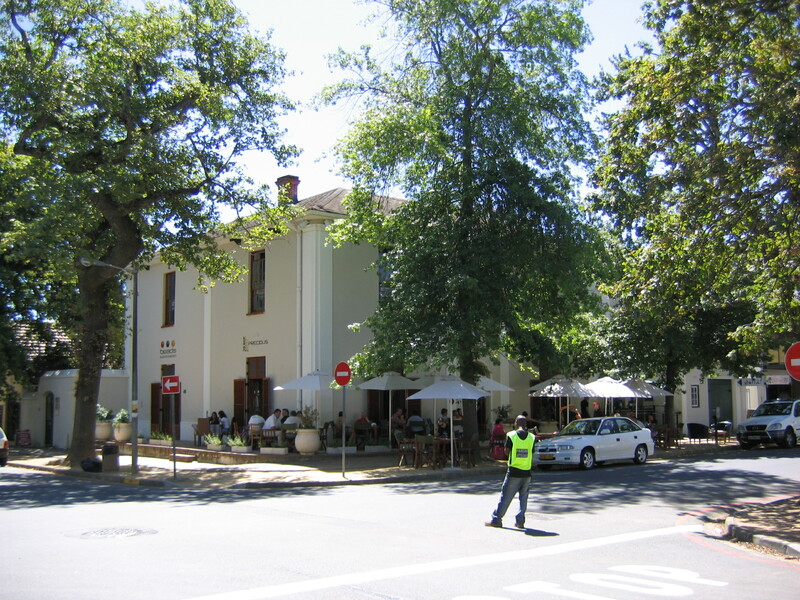 Stop for a liquid lunch in lovely, charming Stellenbosch. 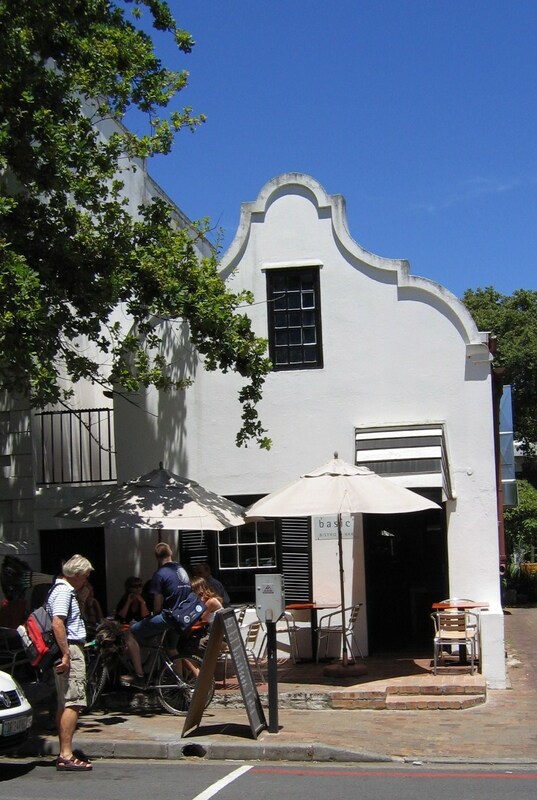 Stellenbosch is primarily a university town with a relaxed, carefree attitude and tons of fantastic outdoor cafes. 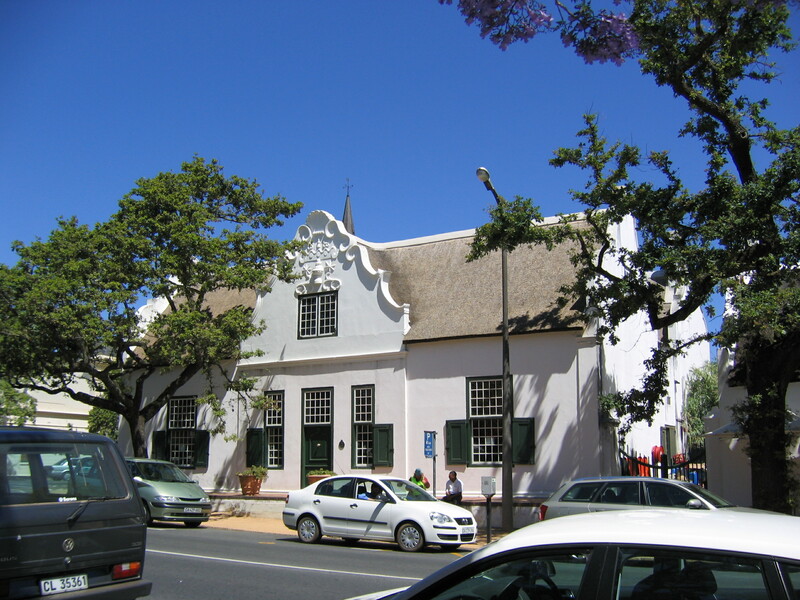 The primary beauty of Stellenbosch is its vast display of Colonial Dutch architecture; arguably some of the oldest in South Africa. 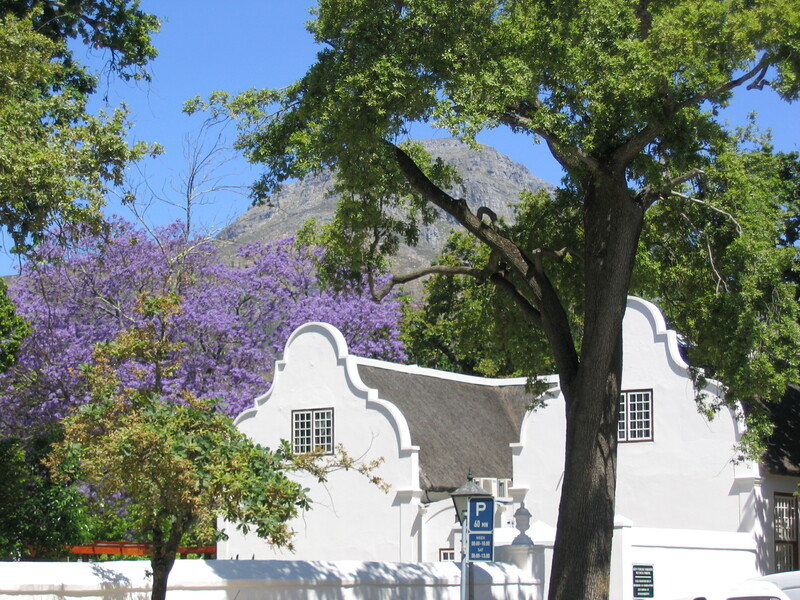 Stellenbosch was founded in 1679 by Governor Simon van der Stel who founded one of the best vineyards in the Cape, Groot Constantia and also planted hundreds of oak trees making the city informally known as the “city of oaks”. Checking out the options for lunch. Way too many delightful ones to choose from! 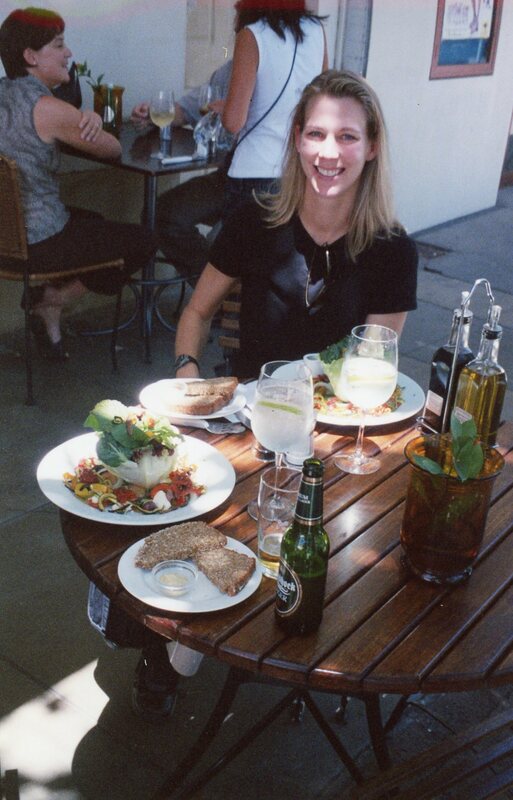 Me, enjoying a fabulous lunch of course with an excellent bottle of local Sav Blanc—what could be better than this? 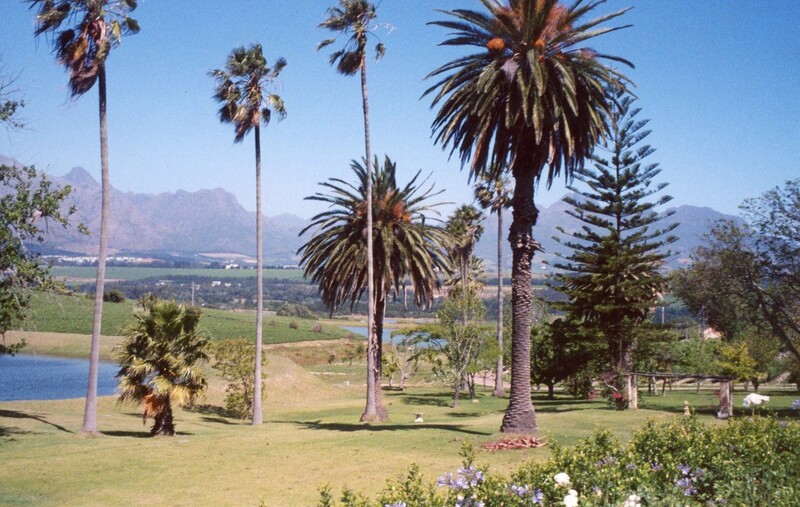 The gorgeous grounds of the Seidelberg Vineyard….I could live here! The lush vineyards coating the hillside….I could smell the fragrant wines inside my head. Stay tuned….next stop is at the heart of South Africa’s Big Game…my first visit to a game reserve and a safari of a lifetime! Note about photos in this post: All these pictures from my South Africa trip are over 7 years old. It is amazing to see the difference that seven years can make in technology! Most of these pictures are from my first digital camera. If you compare these photos with the quality of my more recent ones from my trips to Nepal and Morocco, the difference is astounding! Thank goodness for modern technology! I’ve also had to scan a few of the photos in as I took them with my other camera at the time. This explains the grainy quality. I felt it was more important to “show” all of South Africa even if some of the pictures weren’t the best quality. Hope you enjoy! Hello Karyn: Thanks so much for reading my posts and I’m so glad you enjoy them! I do love travel so incredibly much. I love to learn about the world and different cultures and meet people. It is so amazing. I also really enjoy your posts as well. Looking forward to reading more! Thanks for such a fun post, I took my family there, they were as amazed and pleased and we are locals! 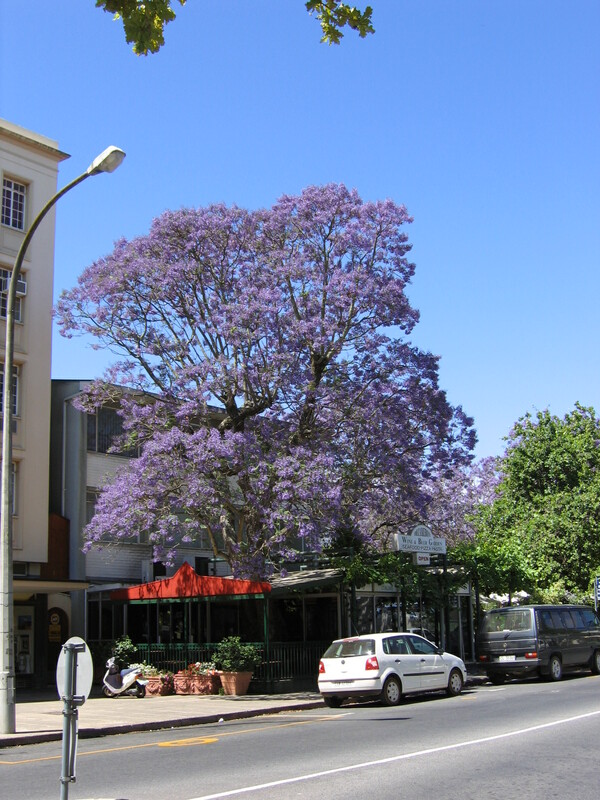 I had been a few time before, starting as varsity students… The whole western Cape is a gem. Enjoy the bushveld- that’s my world! wow! the place is beautiful!! Beautiful! I think I’ve found another wine-lover! And yes it’s amazing the difference in photo quality depending on the camera. I have thousands of pre-digital travel photos (taken with a film SLR) packed away in the UK and wish I could scan them all. I wonder how well they’ve kept stored. Can’t wait to hear about the safari!